Our business is environmental control and we have outstanding experience in all sectors and in all environments. Environments come in all different shapes and sizes, each with their different challenges. 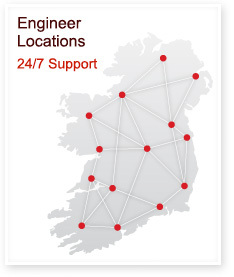 For example, we deliver diverse environmental solutions to retail chains throughout Ireland. And we have fitted out a seven-floor service centre, ahead of schedule. Both quite different challenges. Sector boundaries are not a constraint where Kelly RAC is concerned. Indeed, we push out the boundaries.